It was seven O’clock in the morning. I swallowed the bitter pain of a sore throat. The three of us sit together at the dining room table of the hotel and had breakfast. It was now eight thirty. Vlad suggested that we visit the state archives office located in Vinnitsa to check on the information Sasha, our navigator from yesterday, shared with us. As far as I knew, there had existed an archive administration office in Kumermetsky but had recently burned down. It housed the birth, marriage and death certificates of the Jewish families. Apparently both private and official civil contract records for the Jewish community were also destroyed in the fire. This occurred just before the Republic of Ukraine was established. Furthermore, half of the records had already been lost during WWII. I had very low expectations about how much we would gain by reviewing the archival records. According to Sasha, there was a chance that some of the documents survived and had been transferred to Vinnitsa when the new Republic established and the oblast merged with Vinnitsa. If this is true, we may be able to view the remaining archives in this very town. I postponed our plan to revisit Litin and Bagrinovitsy into afternoon and decided to visit instead the archives office in the morning. At nine O’clock in the morning we walked to the state archive office. By surprise we found the building was located right next to the museum we visited yesterday. The wall of the building looked damaged, the plaster was peeling off the side to expose its naked concrete. The front door had collapsed and, therefore shutdown and closed. To get into the building, we had to walk around to the side of the building where we reached a small temporary side door. I noticed yesterday when we visited the museum that the economic recovery in Ukraine has been significant and yet, it is most disturbing to notice otherwise a lack of recovery in the official state facilities. The facilities with the Coca Cola and McDonald’s insignia demonstrated their American power of capital with modernized renovation. On the other hand, the poor appearance at the official branches gave us the impression they were way behind in terms of recovery. It is obvious that the main stream of the government such as national administration offices were intact but the more ancillary offices such as the library, museum, archive offices looked as if they had been forgotten. The archive office was in a concrete building built during the Soviet period - it felt cold and damp. A naked light bulb was hanging wearily from the ceiling only to shed shadows on the dusty antique desks and chairs toppled with mountains of paper documents. We waited for 30 minutes in old ripped vinyl chairs when finally an official received us by saying bluntly that all the vital archive records for Litin district had burned in the Klemetsyky in fire. This, I knew. However, he continued that there are some Jewish records available here, buy we needed to request access through the Deputy Director. I did not understand why only the Jewish records were archived in this office. Nevertheless I decided to apply for the request thinking there must be some kind of reasoning behind this. When I was merely twenty years of age I was a newspaper reporter in Japan. I knew the consequences since I had worked with government officials on daily base. Though it was more than 30 years ago, I assumed all the bureaucratic societies are regulated with a similar routine. If I apply for access in the proper manner by asking for an audience with a state official, I may be given the chance to see him tomorrow if I am lucky. Otherwise I may have to wait for a week. My experience of 30 years ago told me I should to walk into his office without submitting any official application form. Unfortunately I was told the Deputy Director had not yet appeared for the day. I, then, asked Vlad to locate the secretary of the Deputy. Vlad found out from the secretary that there was another office for the Deputy, which was located within walking distance. We all exited the building and within 10 minutes arrived at the branch office of the state archives. The name of the Deputy was Dr. Faima Vinokrova. We walked into the office and were surprised to see the Deputy in fact was a lady. We also find out she was Jewish herself as she explained her own interests in tracing the family roots of those who died in the holocaust. Now, I understood the entire scheme of the state archive department. The department kept only the documents of Jewish heritage due to the fact that the district in the Vinnitsa oblast represents old Podolia guvernia, the old Jewish residential district in Ukraine. The descendents of the Ashkenazi Jewish Canadians and Americans became frequent inquirers of the state archives department. Consequently, the government started providing a service to the genealogical researchers. 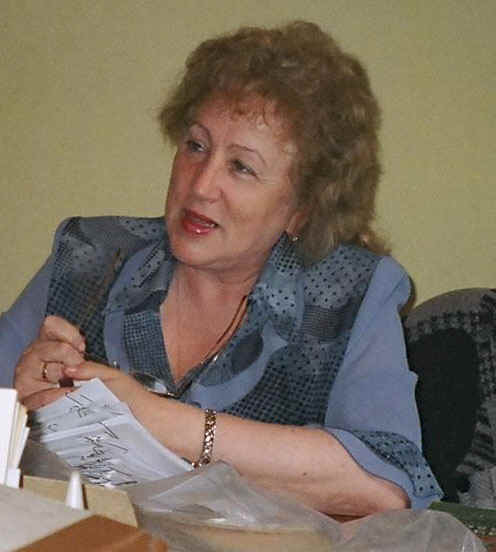 Dr. Vinokrova might be an individual who was appointed by the local government to share the Jewish vital records. As we guessed, she also was a member of the Vinnitsa Synagogue. During my preparation to visit Litin, I studied some of the on-line links of Vinnitsa oblast. I knew there was a web site for the Jewish Synagogue organization so that the international Jewish community could make donations. If the monetary fees could assist any conveniences of the genealogical research, then we would be encouraged to conduct further business with the state officials. The first thing the Deputy director said to us was that there would be a charge for her services. I immediately offered a US$100.00 bill as an application fee for access to the archives. Her face was filled with satisfaction and she explained to us about her research to compile a list of holocaust victims in the Vinnitsa oblast. She requested a donation for her publication expenses. I certainly agreed by handing her a US$20.00 bill. I learned it was far easier to conduct business once the roles of consumer and service provider had been established. Such is the power of money. The remaining problem would be time. We were told it would take her at least two months to prepare the documents. I, to be honest about whole deal stated above, did not expect much of a successful outcome, which the contrary will surprise us some time later. In terms of our schedule for the day, I had to take into serious consideration my physical health. The pain in my throat was now accompanied by a headache and had reached the point where it had convinced me to take immediate countermeasures, other wise I would come out empty handed from the island of treasure. Until yesterday, I thought I simply needed to rest and control my physical condition. Now I feared that if I did not move swiftly to miss absolutely nothing, this illness would overtake me. Our return dates home cannot be extended. I would most likely end up in bed with high fever in a few days. I, therefore, decided to go to Litin as we scheduled and spend as much time as possible to collect the necessary information. Before we departed for Litin, we dropped by a market, purchased a loaf of bread, ham, sausages, cheese, yogurt, fruits and fruit juice. We started the drive to Litin while having a delicious late lunch in the car. We arrived at Litin from the eastern entrance, driving through the city administration district of Lenin Street, and arrived again at the exit of the northeastern district of the city. Ever since last Saturday, the entire outline of the city was registered in my mind; I am now quite comfortable figuring out my exact location. At the northwestern end of the district, I knew an old Jewish cemetery was located. We passed under a unique looking green entrance of the cemetery where we found old gravestones standing among the tall weeds deep in the forest. It appeared to be a much smaller cemetery compared to the cemetery in Berdechev, where it took us almost a hour to walk through the entire cemetery. All three of us spent time taking photos and video. The condition of the stones surrounding the wild weeds and trees were not so bad. I wondered if it were possible to organize a group of ten people as volunteers. Within one month, the entire cemetery could be cleaned. Before this trip, I contacted one of the pioneer explorers of Podolia, David Chapin of Austin Texas, for instructions on how to clean gravestones to better read the inscriptions. He most kindly sent me through e-mail a most complete set of instructions. I carried the instructions with me. But it was almost impossible to locate any gravestones belonging to the Pervin family due to the condition and quantity of stones there were. No matter how much time was cleaning the stone, one would be unable to read the inscription. Litin suffered severely from the holocaust in 1941. Two to three thousands were executed at the western side in an open field. We found three monuments to memorialize the victims. Possibly to prevent vandalism, one monument was kept behind a locked gate. A second monument was built in memory of the child victims. It became a dark dusk by the time we completed our walk through the holocaust sites. We also revisited the remains of the Pervin residence. Though we had scheduled to drop by the museum to search for the photographs taken by the city hall, it was too late to visit – it was 4:30pm. We knocked at the entrance of the museum – a very old thick wooden door of what had been a prison - only to find no one was responding. We also dropped by the renovation site of the Cathedral to find all the construction workers had gone home. It appeared the work for the day was finished. Heidi and I enjoyed the moment of free time to fantasize about the site of the Pervin residence. In the tall weeds of the open field, I kept shooting of photos and videos while Heidi paced back and forth on the space where her great grand parents and their children once resided one hundred years ago. She appeared to be enjoying the thoughts of how her ancestors slept, walked, and played in this different era. I promised myself that we would start early tomorrow morning so that we could spend as much time as possible in one of the most important villages of the Pervin family, Bagrinovitsy. I prepared for the worst scenario; even if I had to stay in bed with a high fever at least I would be able to experience some time in the village. There are some more places in Litin I would like to visit. But for now, I could not take the chance of possibly missing the opportunity to see Bagrinovitsy. Heidi appeared to notice my physical limitation for I began to wall slowly and stopped carrying any conversation. She started escorting me by holding my hands and shoulders and said to Vlad that the day had come to an end.